Look for such patterns everywhere. Many examples are hidden inside your bodies, your lungs and blood system. 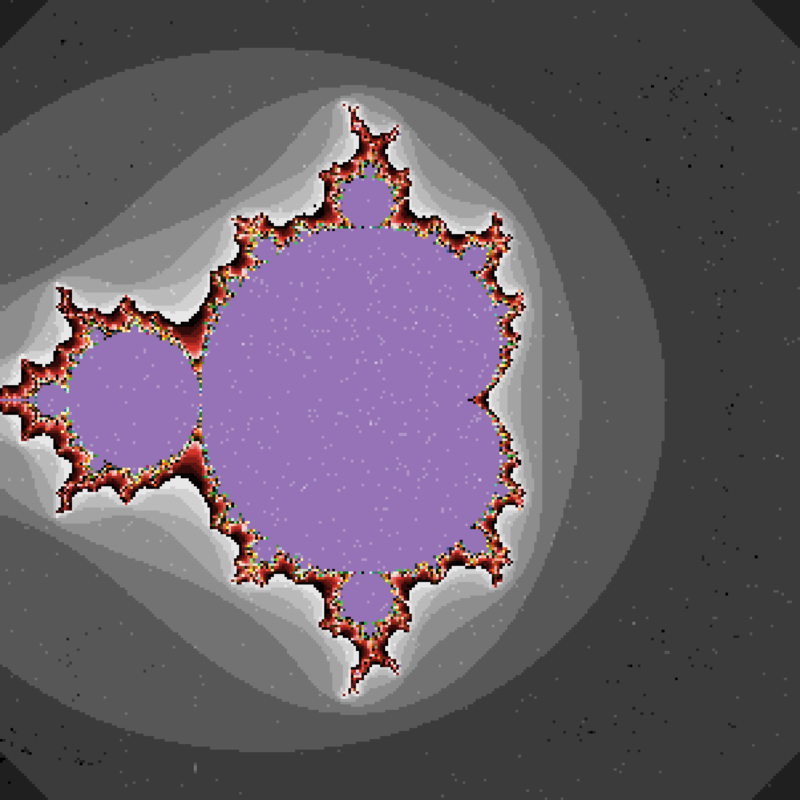 You most likely will find fractals in nature, especially outside in the plant world. 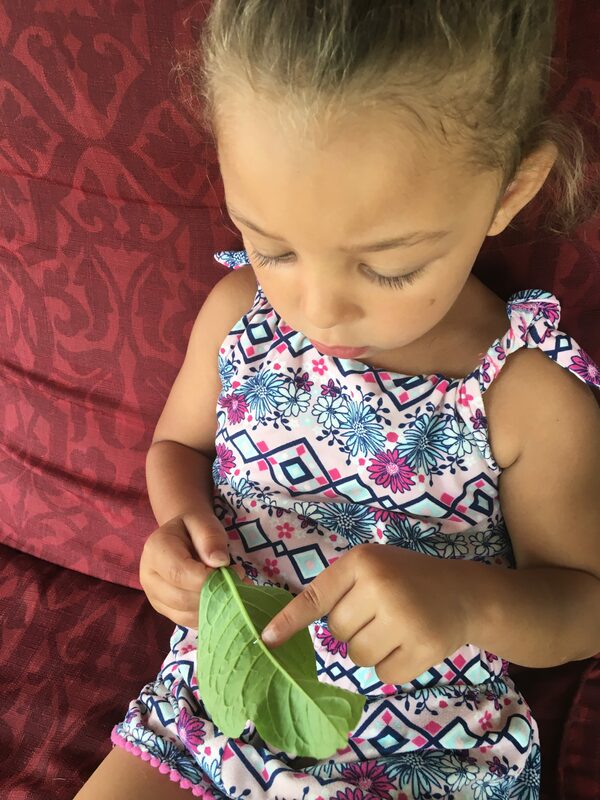 Look carefully at the veins of leaves. 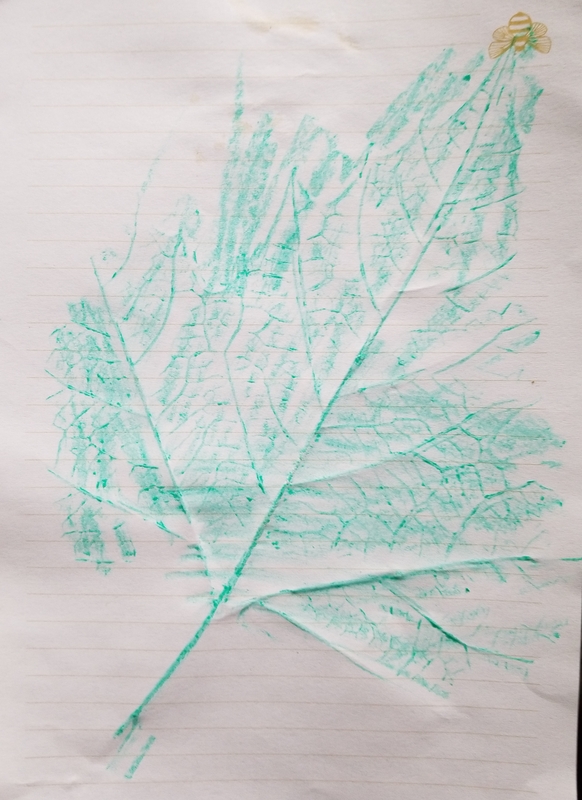 Place a sheet of paper over a leaf, with the bumpier side of the leave veins facing up. 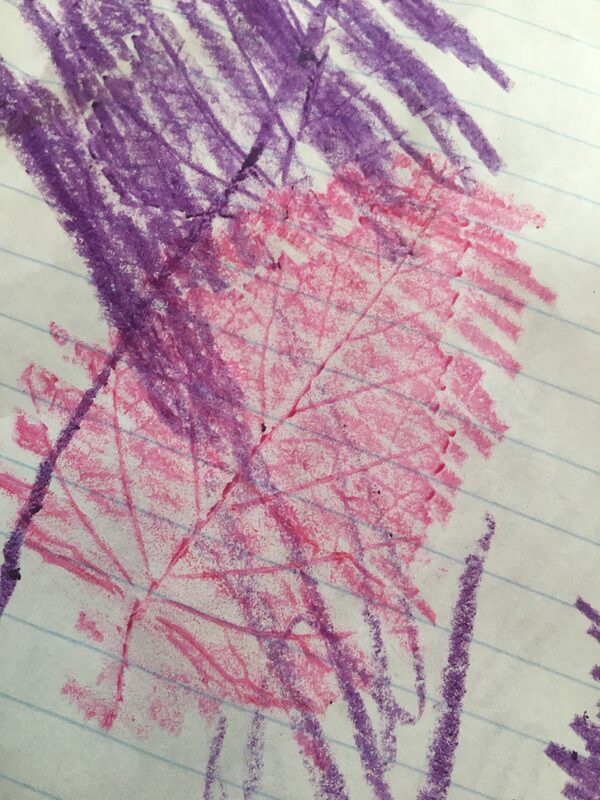 Rub crayons over top to create a snapshot of the vein patterns. 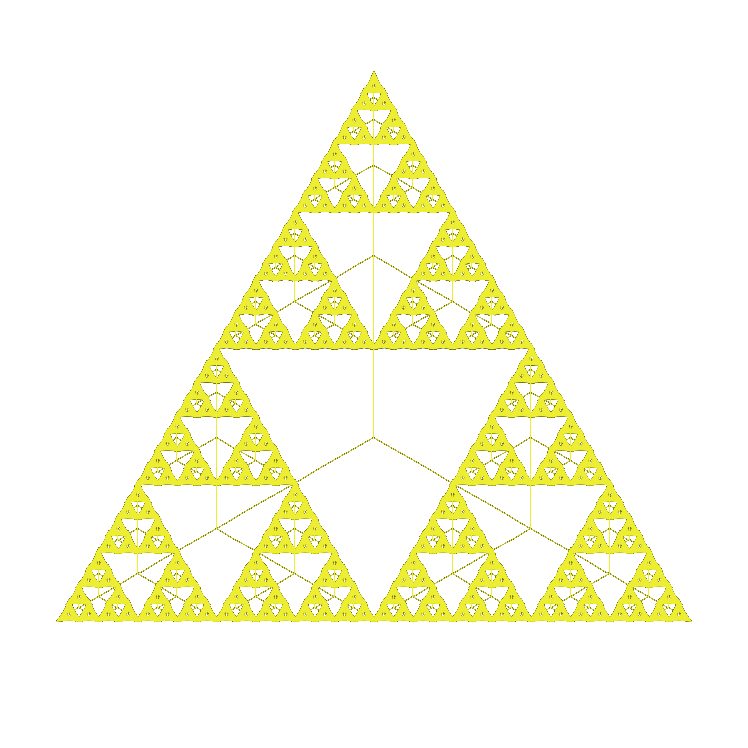 They branch like a tree, fractal-like. 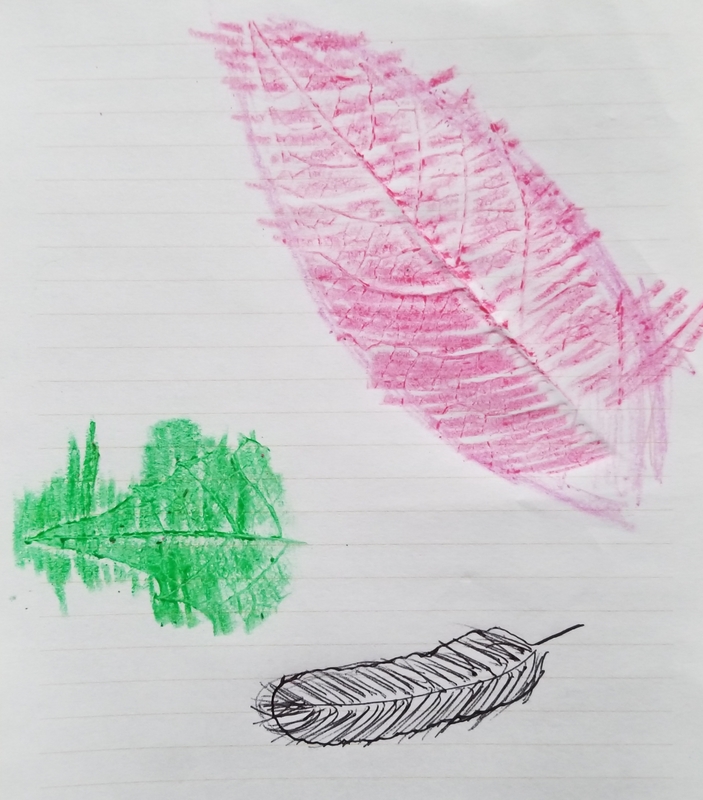 The smallest veins patterns are much like the larger vein patterns. Look at the tree branches to see a larger scale fractal branching patterns. 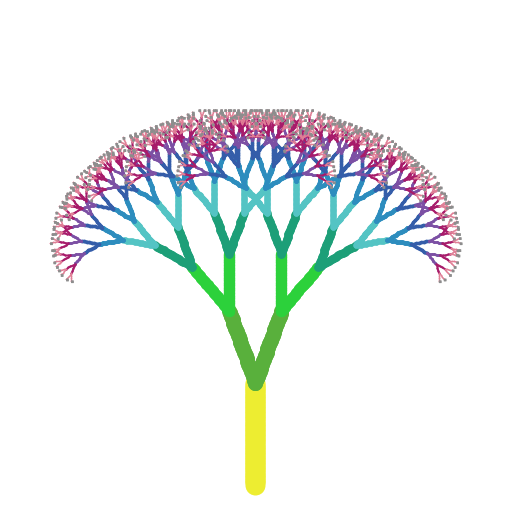 Use our very Scratch drag and drop program to create fractal trees. 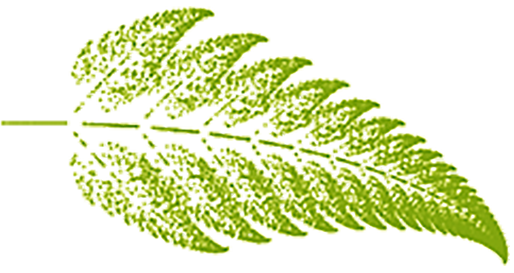 If you wish, use NetLogo to produce the exact same trees, with a different coding language. 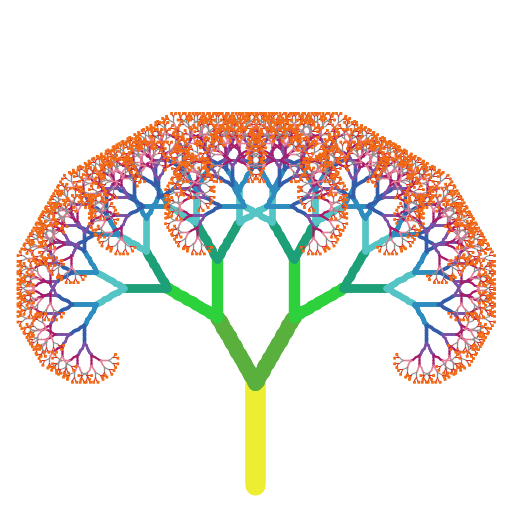 We also provide a Python version of the fractal tree maker. This comes with your subscription. 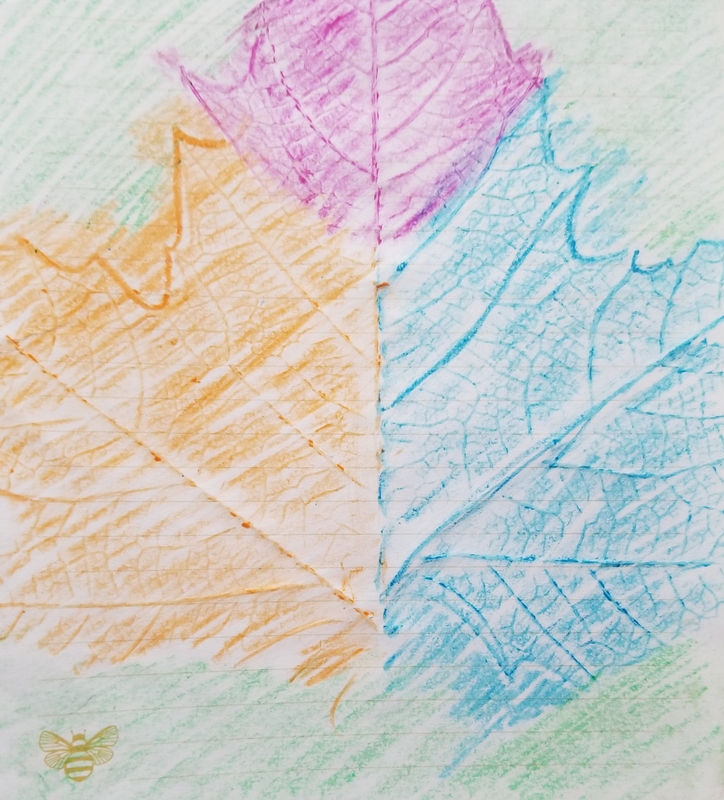 Below is a fractal tree with an angle of 30 degrees (each branch turns 30 degrees right and left) and another example with an angle of 20 degrees. 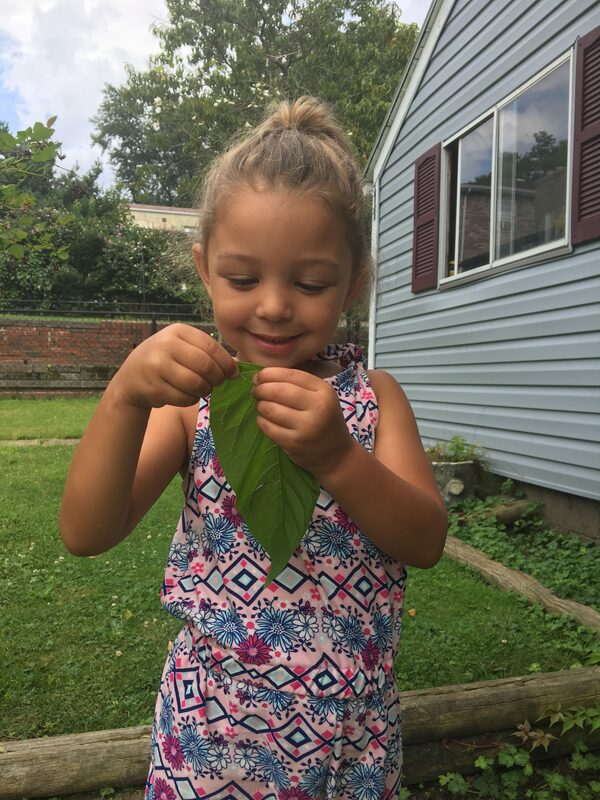 These trees are also a good way to see patterns of growth in numbers. 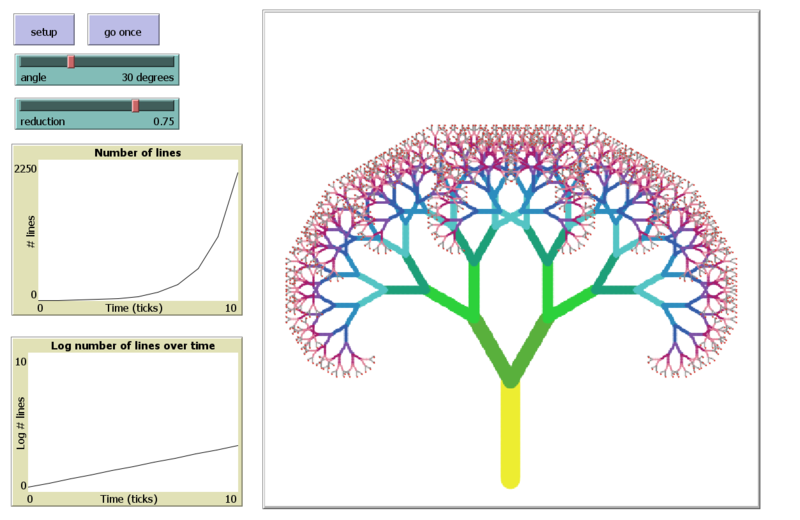 You can plot the number of branches (lines) at each time step and see a geometrically growing number of lines.